Keep in mind that in order to control spending habits that can ruin your credit score, stick to these rules and follow these simple steps. Like most consumers, you probably don’t think much about your credit history, your credit score and report. After all if you pay your bills on time, make more than the minimum payments and try not to reach your credit limits, you are okay, right? But in reality, there are spending habits which are detrimental to your financial reputation. Here are four of those spending habits that you might want to think twice about doing. Keep in mind that in order to control spending habits that can ruin your credit score, stick to these rules and follow these simple steps. If you have debts left over in one account, some banks and personal financial advisers suggest you take those debts and to roll them into a new debt consolidation loan. The objective here is to lower the monthly minimum payments you need and to have your debt refinanced into a lower interest rate. While this method can indeed help you with your overall financial image, having rid yourself of your older debt can hurt your credit score. A part of your creditscore is determined by the length of your credit history and open debt accounts which have a long track record of your credit history can bring up your credit score. Closing all of these accounts and rolling them into a new one can bring your credit score down, especially if it limits your overall available credit. Should you want to reduce the interest you pay with your credit cards, talk with your credit card company about offering you a lower interest rate – rather than opting for a consolidation. One of the financial strategies that you may want to implement is getting the best interest rates on your credit cards, mortgages and car loans. When shopping around for better interest rates, often the companies to which you apply will run a credit check to ensure that you are indeed a good risk. 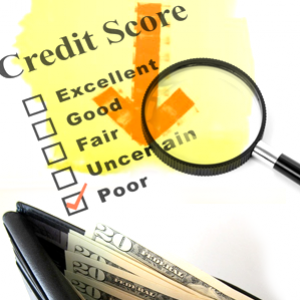 Several accesses on your credit file can ultimately bring down your credit score. To a credit score developer, this indicates that you are searching for a new account and more credit, which may raise a red flag. Since 2009, this activity has been taken into consideration in relation to your credit score and credit report but of course there is still an underlying effect. To make sure that this doesn’t happen to you, talk with your potential lenders and ask them not to do a credit inquiry on you. Provide a copy of your own credit report and score to the lenders to which you are inquiring so that they can come up with decisions based on your credit history. This way you can limit the number of inquiries that appear on your credit report. There may be disputes and disagreements between you and your creditors or the vendors from time to time. For instance you may choose not to pay for an appliance that is not meeting your expectations or not working properly until the vendor complies or there may be a discrepancy regarding outstanding finance charges you find in your credit card bill. However if you refuse to pay, your creditors know how to make you pay. They may threaten to submit this outstanding amount to your credit reporting company and in so doing will lower your credit score. The three credit bureaus have procedures in place for such disputes but during the dispute the collection will remain on your credit report. If these it is proven that you do owe the creditor; such an amount will stay on your credit report for seven years. To avoid such circumstances from happening, try to talk with your vendor or creditor about these disputes. It may require several phone calls, letters or emails but it is definitely worth investing in the communication. One of the surefire methods that may help you manage your financial situation is closing credit cards that you are not using. A part of your credit score, however, involves you having different types of credit accounts awe well as the actual debt to credit limit ratio on your card. The lower your ratio, the more positive your credit score – which indicates that you are not using your credit card indiscriminately. If you close your credit cards, your ratio goes up and your credit score goes down. For credit cards with balance, this is especially true as your balance appears on your credit score and report. So what to do? Spread out your spending among all of your credit cards and make sure that your payment is always on time.